Swans are very protective parents. The male swan, called the ‘cob', can be very aggressive in order to protect his young. 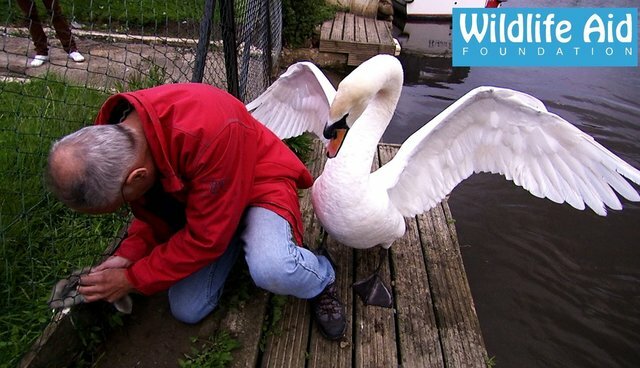 Simon went out to rescue a cygnet that was stuck in a fence, near the River Thames. He had to face a very angry cob that wouldn't let anybody near his poor baby.